The Faculty Club was selected for the special issue called ‘Non-Super Dutch’ of Chinese World Architecture magazine curated by Kees Kaan. According to Kirsten Hannema, we are part of the “super normal” generation, that succeeds Super Dutch, focusing on spatial experiences, local context and the craft, and we like that! We are delighted to announce that Thijs van Bijsterveldt has been nominated for the Abe Bonnema prize with the project Matryoshka House. The fellow nominees are Marieke Kums with Junya Ishigami, Jan Nauta, Bart van der Salm and Barcode Architects. The winner will be announced on November 17th in Leeuwaarden. We’ve moved into a brand new office at the Nieuwe Binnenweg in the centre of Rotterdam and celebrated with our closest friends and colleagues. On September 12th, Shift is invited to lecture at the Academy of Architecture in Amsterdam. The lecture is part of a series initiated by curator Chris Luth where the process of design and design thinking is central in the discourse. Out of 239 entries, Matryoshka House is nominated for the Herengracht Industrieprijs 2018! The biannual prize is awarded to a sustainable, original and authentic interior design project. From the jury report: “A precise number of clever and radical architectural interventions transform this ordinary terraced house into two high spatial quality apartments”. The other nominees are Aula begraafplaats Zoom- en Zegestede (pole-productions & Ontward), Blaak House (V8 Architects), Museum Voorlinden (Kraaijvanger Architects) and Ontvangstpaviljoen Steenfabriek Vogelensangh (Bedaux de Brouwer Architecten). The winner will be announced on June 14th. The construction of the first phase of the Oude Dijk complex, containing 40 apartments, is progressing steadily. The 4-storey building’s primary structure is almost halfway. One can already see how the building secures the confined character of the unique monastery garden and will provide the Sisters with a privileged relation with their green oasis in the center of Tilburg. We started working on our fourth interior makeover: this time a 17th century monumental house in the center of Amsterdam with a slender profile and typical ornate gabled façade. Shift has been invited to write a letter to Ahmed Aboutaleb, the mayor of Rotterdam, as part of the manifestation “Letters to the Mayor”. 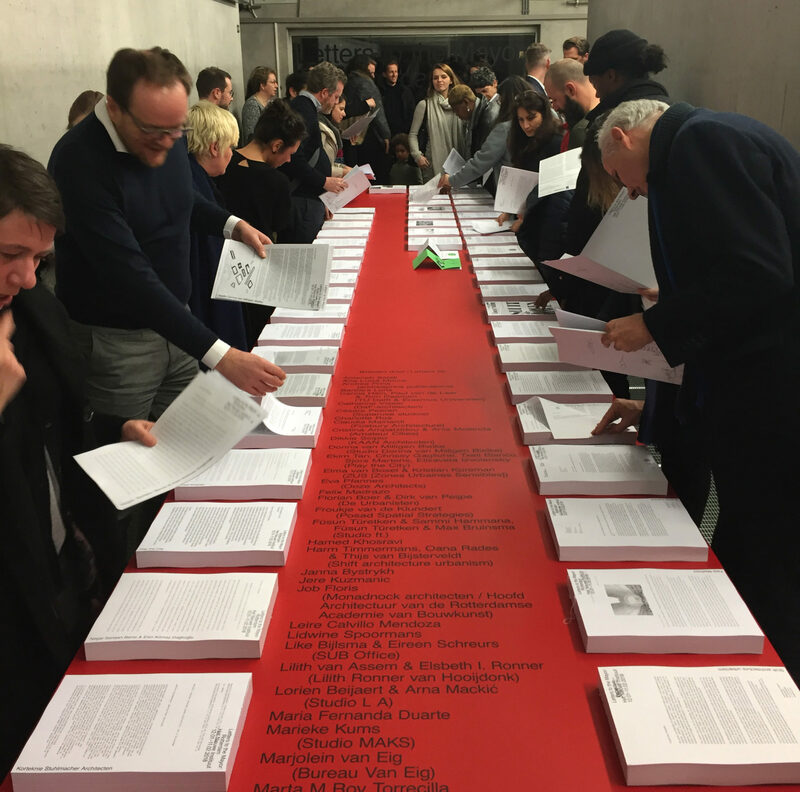 The letter should articulate pressing questions and desires important in the making of the city of Rotterdam. The manifestation began in 2014 as an initiative by Storefront for Art and Architecture in new York City, and has since been presented in over 15 cities. “Letters to the Mayor: Rotterdam” will be launched on January 12th and will be on show until February 11th 2018.